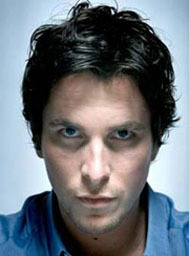 Bale had made TV commercials and appeared on the London stage before starring in Empire of the Sun (1987), an adaptation of the J. G. Ballard novel. For a few years he was a song-and-dance man-child, in the quaint Newsies and Swing Kids. Bale has since acted mostly in small, independent films like Metroland and All the Little Animals. He was the titular crazed killer in the film adaptation of Bret Easton Ellis's bloody American Psycho, and when anti-movie-violence activists protested the film, Bale did not win them over when he explained, "I found the script really funny." He won raves as the caped crusader in three Batman movies, and he was arrested for assault against his mother and sister as the latter film opened in London. He was born Christian Charles Phillip Bale, but has adopted a stage middle name, identifying himself Christian Morgan Bale. Though born in Wales, he has English parents and an English identity. Only for the first two years of his life did he live in Wales. Bales currently resides in Los Angeles.